And she left after half an hour. "There are a great many students who are enormously attracted by the idea of a diplomatic career. Or if not in the foreign service as such, certainly a job which takes you out and about internationally and gets you engaged with international policy issues, be they to do with peace and security, aid and development, trade or any one of the innumerable transnational policy issues – from climate change to people trafficking to managing health pandemics – which former UN secretary-general Kofi Annan once described as “problems without passports”. It’s no surprise that so many young people should want to get into these jobs. They sound inherently fascinating, and they are. So how can you best prepare yourself for a foreign policy related career? How can you maximise your chances of cracking it in what is always going to be a very competitive field?" Date: Wednesday, April 27, 2016. This is a presentation, but you don't need to bring slides or dress up. The order of participation was established on March 31st and may be viewed here. - When you participate, you may ask for the floor to give a statement as part of the summit (these are the ones that must be addressed to the other delegates and for which you will be graded) or you may propose a caucus, which means you get 3 minutes to suspend the Summit and stand up for one-on-one negotiations. - Simultaneously, you may get information from News Flashes or Secret Messages from your own home government, which I will distribute when the time comes. While News Flashes give general information and may be openly discussed, the information in Secret Messages is only for whoever receives them. 1. "The history of drug trafficking in the USA"
2. Write a 500-word essay where you compare and contrast the experiences of the main characters in both movies and the social realities they deal with, particularly regarding the intersectionality between economic inequality, LGBT rights, women's rights, and racism. Upload it to Blackboard by April 22, 11:59 PM. The link will be in the "Assignments" tab and titled "Essay 10_Freeheld, Paris is Burning". E-mailed essays will get an automatic zero. Date: Thursday, April 14, 2016. 1. "The Economics of Healthcare: Crash Course Economics #29"
1. "The Story of Human Rights"
2. 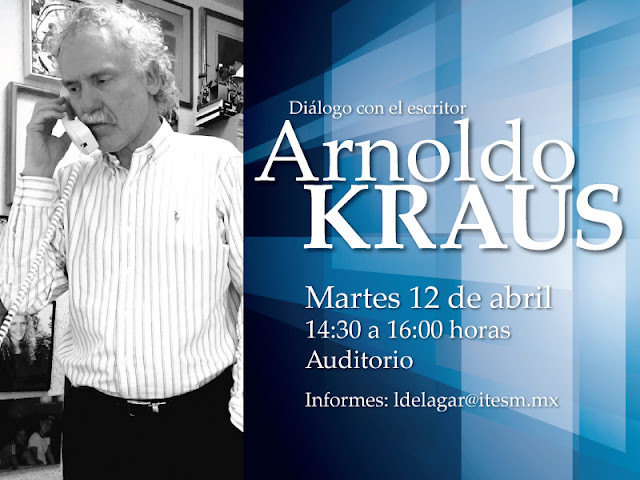 "Eleanor Roosevelt: Most Iconic First Lady"
Conference: "Recordar a los difuntos"
Conference with Arnoldo Kraus, author of "Recordar a los difuntos". April 12th, 2016, 14:30-16:00. Auditorio. See you there! Say hi to me so I can give you an extra 100 in Participation. 1. 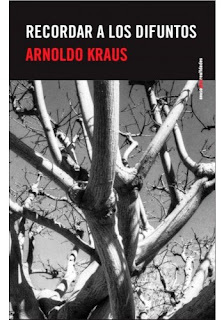 Read the book "Recordar a los difuntos" by Arnoldo Kraus. 2. Write a 500-word essay about how the Mexican healthcare system treats death and grief, and how they should be treated. This will be a normative essay. Upload it to Blackboard by April 11, 11:59 PM. The link will be in the "Assignments" tab and titled "Essay 9_Recordar a los difuntos". E-mailed essays will get an automatic zero. "At ﬁve-feet-six and a hundred and ten pounds, Queenie Volupides was a sight to behold and to clasp. When she tore out of the house after a tiff with her husband, Arthur, she went to the country club where there was a party going on. She left the club shortly before one in the morning and invited a few friends to follow her home and have one more drink. They got to the Volupides’s house about ten minutes after Queenie, who met them at the door and said, “Something terrible happened. 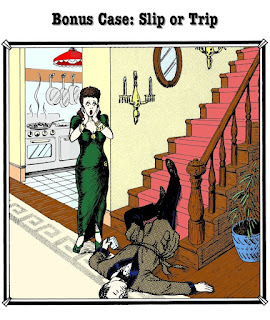 Arthur slipped and fell on the stairs. He was coming down for another drink—he still had the glass in his hand—and I think he’s dead. Oh, my God—what shall I do? The autopsy conducted later concluded that Arthur had died from a wound on the head and conﬁrmed that he’d been drunk." 1. "House of Cards" (2013-x). It's good entertainment AND a taste of global politics, especially in the third season. 2. "Tracy Chapman" (1988) by Tracy Chapman. Great album. 3. "Perfect Sponge Cake" (2013) by Ann Reardon. 4. "Fresh Meat" (2011-x). Good series, if you're into British humor. 5. "A Passage to India" (1924) by E. M. Forster. It's about racism and sexism in colonial India. Pretty cool, especially if you liked "To Kill a Mockingbird" and other similar novels. 6. "12 Angry Men" (1957) by Sydney Lumet. It's originally a play, and it's good for looking at biases and the way arguments can be constructed and reconstructed. 7. "Evita" (1996) by Alan Parker. It was originally a Broaday musical, and this is the feauture film with Madonna as Eva Perón. It shows the outside/American view of Argentina in the 20th century. They saw her as more of a celebrity and a tragic figure than a political/elite actor. 8. "Eva Perón" (1996) by Juan Carlos Desanzo. This is the response by the Argentinean government to the musical. It shows Eva Perón as more of a political actor who dealt with the unfairness that women were simply not taken seriously.